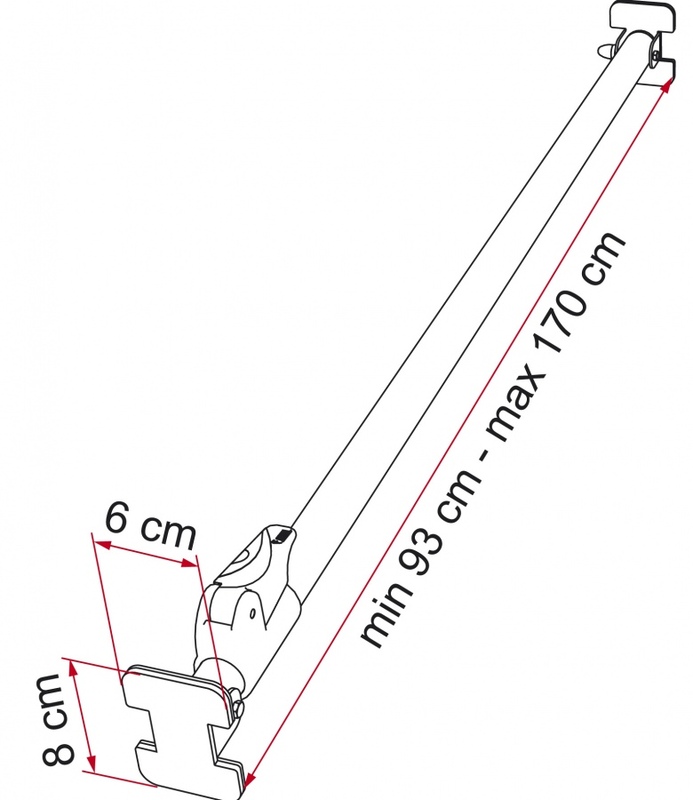 Solid telescopic bar ideal for fastening your objects into the garage facility of your vehicle while travelling. Easy to regulate using the handy hook lever. Rubber covered terminals to assure a steady grip without marking the walls of the vehicle. Made of sturdy and light anodized aluminium tubes. 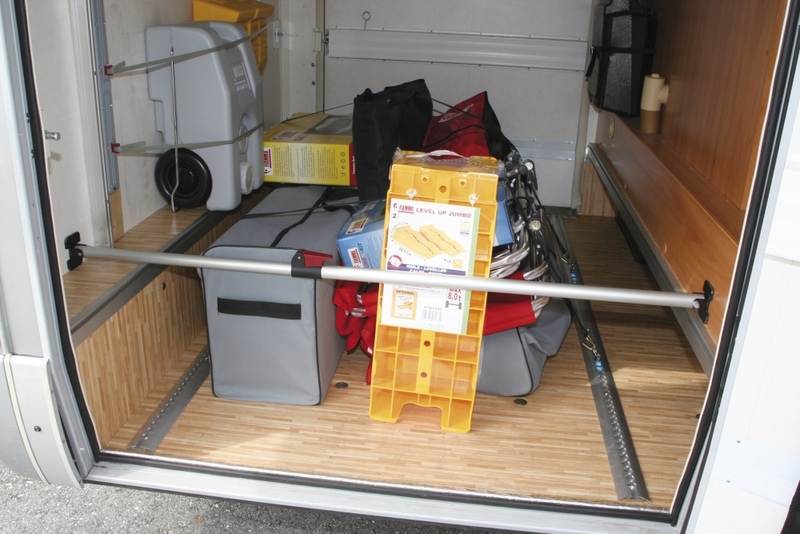 Easy to shorten (minimum length of 20cm) and extends up to 170cm, in order to adapt itself to the various sizes of storage compartment boxes in the motorhome. Dimensions closed: 93 x 8 x 6cm.